3. Use the LED Light control wheel to adjust the LED light brightness. 9. 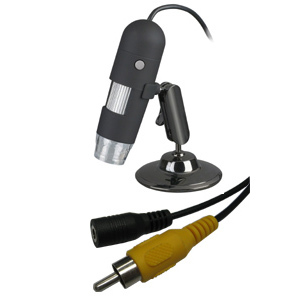 Do not unplug the Microscope from RCA port when LEDs are on. This may cause information loss or circuit damage. 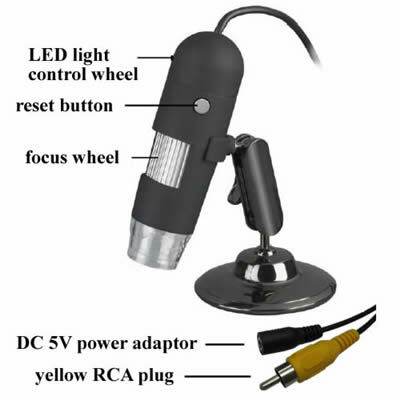 Please always disconnect the DC 5V first, and then unplug the Microscope.